For years, lawmakers, counties and attorneys have grappled with the issue of adequate public defense in the state of Idaho. But this week, they started talking about a solution. On Tuesday, the Public Defense Reform Interim Committee discussed the first draft of legislation that aims to reform indigent defense in the state. There are still plenty of details to hammer out before presenting a final bill to the full legislature in the 2016 session, but expect the debate to focus on two things: Funding and the state’s ability to enforce standards. Adding an edge to the urgency: The American Civil Liberties Union of Idaho’s lawsuit charging that Idaho’s public defense system is unconstitutional based on public defender workload, lack of statewide standards for public defenders, and, in some counties, nowhere for attorneys to consult clients in private. The draft proposal would establish requirements for indigent defense attorneys, mandatory continuing legal education, workload controls, and funding mechanisms that split the cost between the state and counties. It would also allow for oversight from the statewide Public Defense Commission and review by county commissioners. During the meeting, committee members took issue with almost every new section of the draft bill, though all agreed that changes to public defense in Idaho are necessary. But much of the discussion focused on cost-sharing between the counties and the state, with the proposal suggesting the state pay for up to 15 percent of a county’s public defense costs, and how much oversight and enforcement power the Public Defense Commission should have. Committee co-chair Christy Perry, R-Nampa, noted that a handful of counties have already told lawmakers that they will not comply with new standards — an argument for more robust enforcement standards, said Rep. Janet Trujillo, R-Idaho Falls. “We need them to step up. We need to say they are going to comply because that’s a constitutional right,” Trujillo said. State Appellate Public Defender Sara B. Thomas agreed. She pointed out the existing public defense commission does have standards, but no ability to enforce them. “We can promulgate any standard that you want, but if you don’t give us the ability to enforce it….. you may as well put it in the burn pile,” Thomas said. Sen. Jim Guthrie, R-McCammon, expressed concerns about punishing counties that don’t, or can’t, conform. “My point has been…. if you make the hill so steep that little counties in particular can’t climb it, they’re going to opt out,” Guthrie said. All 10 members of the commission live in southern Idaho, and nearly all represent Ada, Canyon and Bonneville Counties, all of which have robust public defense systems. Just Guthrie lives outside those population centers. But he brought up concerns that other rural lawmakers might have. “I think if we don’t take the teeth out of this, it’s not going to pass the Legislature,” Guthrie said. Perry noted that most stakeholders haven’t had much time to review the proposal, and their input will likely change the discussion even more. “We expect them to come in December and address some of these issues,” Perry said. Over the next month, lawmakers will suggest more changes to the draft legislation, and will receive suggestions from stakeholders. The next meeting is scheduled for Dec. 14. “I would really encourage you guys to look at not what’s easy, not what can be done, but what will honestly make this system better,” Thomas said. 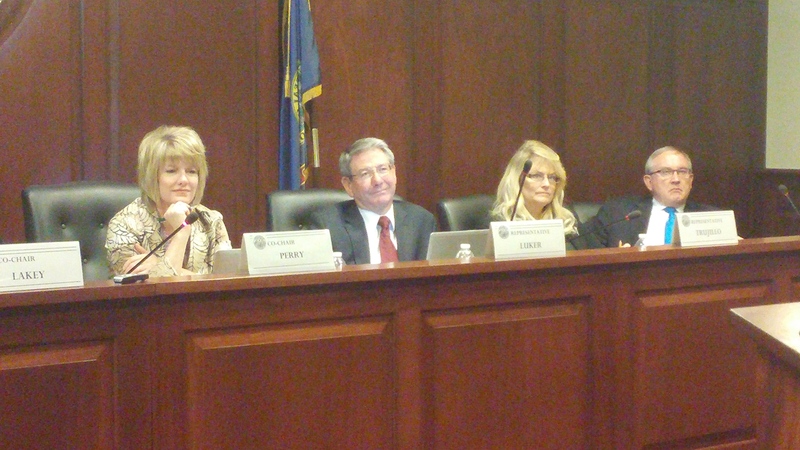 This week, Idaho Reports is taking an in-depth look at public defense reform efforts. Tune in at 8 pm Friday on Idaho Public Television, or watch online at idahoptv.org.